Dr. Kofi Abrefa Busia had a vision of Ghana as the industrial, science and technology knowledge hub of Africa as our ancient Egypt was to Rome and Greece. 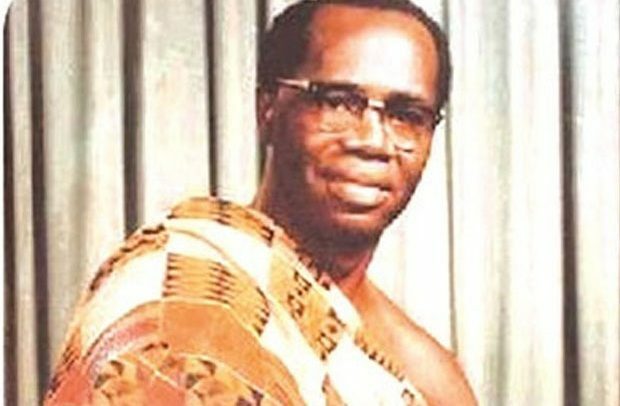 In his own way, he set out to achieve this without fanfare but his mission was wrecked by the Acheampong coup of 13th January 1972 which successfully overthrew his regime which had Justice Edward Akufo-Addo as the ceremonial President. To achieve his mission, Prime Minister Busia invited a foremost American systems developer and educational psychologist to assist him. Dr Myron Woolman answered Busia’s call and relocated to Ghana in late 1970. Woolman was given the entire sprawling estate of the Afienya Gliding School to turn it into a massive skills training and human capital “production factory” to roll out an army of highly motivated and tooled professionals into industry, agriculture, trade, commerce; public and civil service, education, health, construction and housing sectors; research and development centres, to change the face of Ghana within a generation. Woolman was a renowned designer of manpower development and learning systems for education, government and industry. He was a multi-genius and an incredible human being with a social conscience. Woolman worked closely with Rev. Dr. Martin Luther King, James Famer of the Congress of Racial Equality and Whitney Young of the Urban League as systems consultant developing several pioneering learning and training programmes for blacks to make up, catch up and compete on equal terms with whites in all fields of human endeavour. Woolman enjoyed the support of Presidents Kennedy and Johnson. Busia believed in Woolman. Busia boldly invited Woolman to help make his dreams of an industrialising and enterprising Ghana come true. Dr. Woolman started putting in place the physical structures and the training modules after an extensive evaluation of prevailing conditions in order to create a micro-social learning environment appropriate to Ghanaian cultural values. Woolman believed in local content enhancement and so he scouted for key staff and technicians and prepared training manuals with in-built quantified method of measuring project impact in order to transfer technology appropriately. Dr. Woolman became my abiding mentor and he gave me the opportunity to learn and study at his feet. I carried his bags and demonstration tools to consultative meetings and forums at the World Bank, IMF, the State Department, Department of Agriculture and USAID. His mantra was that all the scientific and technological tools and innovations that Africa needed to develop exist and are accessible but it is a matter of choice as it is the choices that leaders make that do define a nation. I am narrating this historical incidence for the public to know another side of Dr. Busia and the lesson this presents to President Akufo-Addo as it is in the national interest that Akufo-Addo succeeds with the benefit of hindsight. Akufo-Addo must find his Woolman as Busia did. In our own history, nation builders like Osei Tutu had a Okomfo Anokye; Sundiata Keita had a Kamara and King Zoser of Ancient Egypt had multi-genius Imhotep, the real father of medicine and architecture, by their side. Imhotep was so revered by the Greeks and Romans that he was worshipped as the Prince of Peace. And closer to the Akufo-Addo generation, Kwame Nkrumah had George Padmore, Pan-African revolutionary, by his side. In 1981, I introduced Kenneth Dadzie, then Director-General for Development and International Economic Cooperation within UNCTAD, to Dr. Woolman. A few days after, Ken Dadzie called me and told me bluntly that African leaders and their ruling elite would listen to and be fascinated by what Woolman does but they would not like to have him close by because some of his methods have in-built systems of accountability and tracking that made it almost impossible to steal and also divert project funds. Dadzie confided then that there were not many Busias and JH Mensahs around. Woolman campaigned for cultural synchrony in international development to make aid and grants more impacting and meaningful. He impressed upon Busia to plan for seven generations and that national development planning and implementation must engender viable economic communities. Woolman revealed to me that what Busia wanted of him was to use his systems to help remove the blight of rural underdevelopment and impoverishment, bridge the gap between the urban and the rural while at the same time redeveloping Accra/Tema and other regional capitals. What Prime Minister Busia was not allowed to lay foundations for can now be taken up by President Akufo-Addo with the benefit of hindsight. In this era, President Akufo-Addo has more Woolmans available to him both at home and in the diaspora and these innovative minds would buy into an uplifting vision and offer their skills and know-how for their beloved Ghana to make up, catch up and sprint to surpass Singapore and Malaysia. Busia’s abiding vision must be Akufo-Addo’s inclusive development mission.